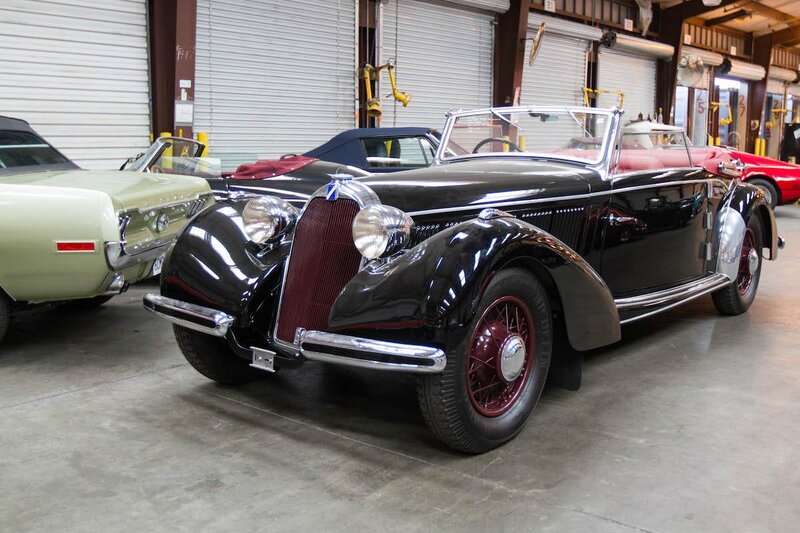 We recently had the opportunity to import a stunning 1939 Talbot-Lago Major Cabriolet from Europe. Coachbuilt by Carrosserie Talbot himself, this example was kept by a single family from 1971 until it was sold by RM Sotheby's in 2015 at their Villa Erba auction. Before being sold, the Talbot underwent extensive restoration in Switzerland. 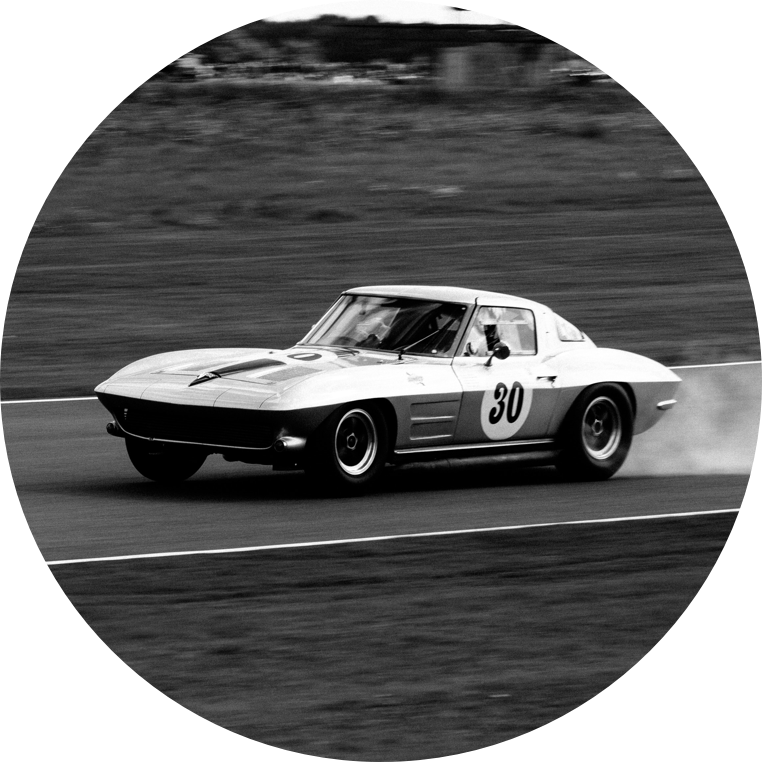 The car was driven minimally since then, and the condition remains top notch. 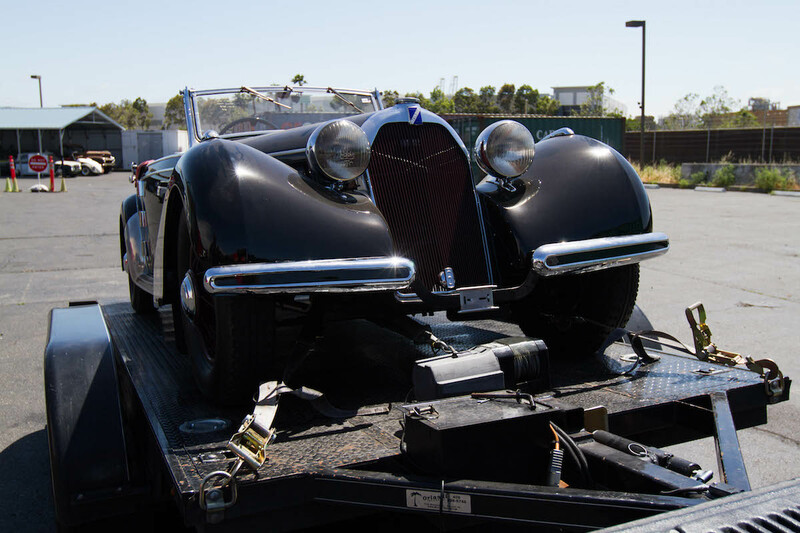 After being sold by RM Sotheby's, the car was kept in Europe under private ownership before it was imported to the United States by West Coast Shipping in 2017. It is now available for sale at Fantasy Junction in California. 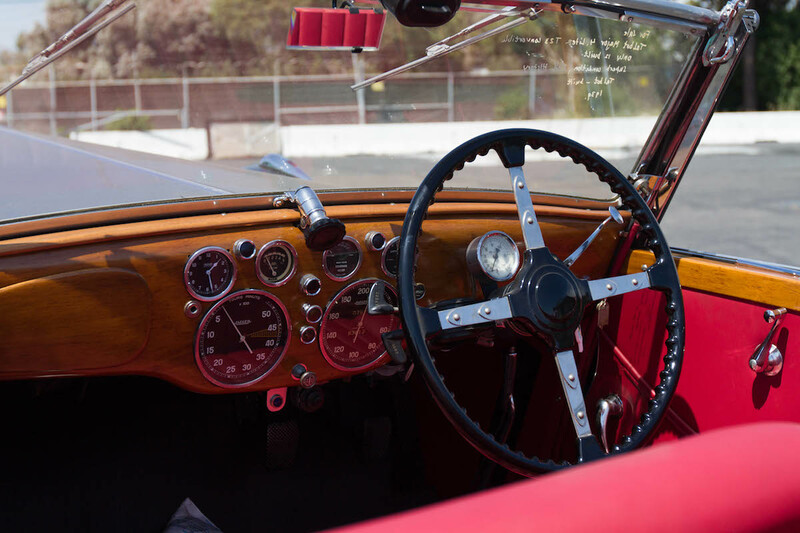 The wood trim along with the oversized tachometer and speedometer are distinct features on this coachbuilt 1939 Talbot-Lago T-23 Major Cabriolet. 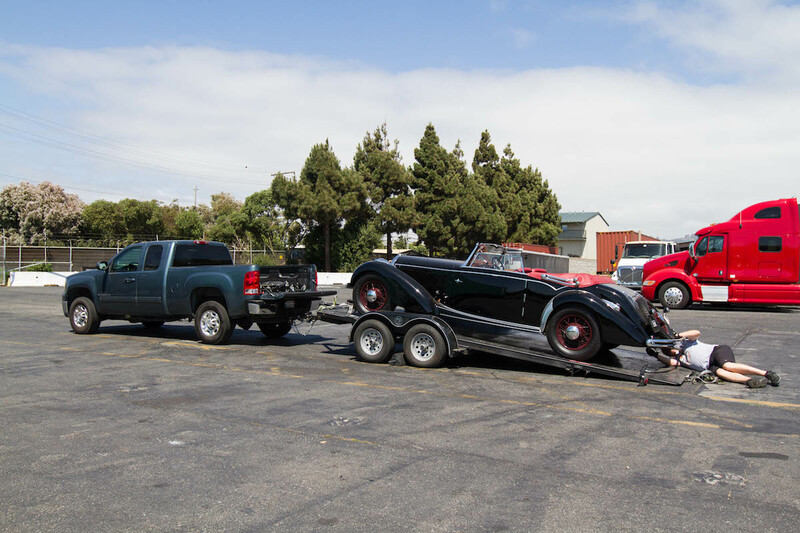 Loaded onto the trailer and on its way to a local classic car dealership.